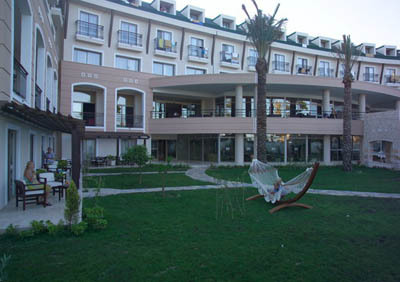 Located near Kiris (3km) and Kemer (5km), 50 km away from Antalya city center, 60 km away from Antalya airport. 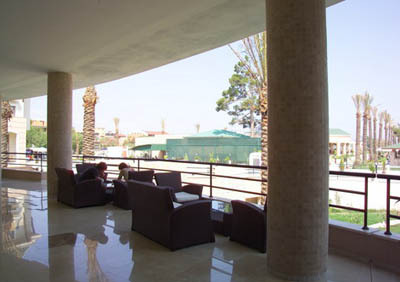 Outdoor restaurant * breakfast room * indoor restaurant * a’la carte restaurant * 2 bars * disco * 2 conference rooms * outdoor swimming pool * indoor swimming pool * aquapark * kid’s swimming pool * children’s game area * beauty center * SPA center. Beauty center * SPA services* hair dresser * laundry service * post service * room service * internet café * all export drinks * energy drinks * ice cream * fresh fruit juices * massage * market * barkovision * water sports (closed in winter season) * baby sitting * billiard * table football game * all imported drinks * playstation * air hockey * telephone * fax * photography services * medical services * diving sports * mini bar * vitamin bar. Safe box (free)* TV satellite * minibar * bath * hair dryer * direct phone * French balcony * baby chair. Mixture of Sand and Pebbleswith 70 m private beach. There is a pedestrian road between hotel and beach (special for hotel). Tunnel is connected with annex building. 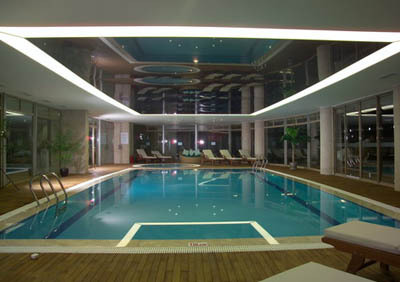 Beach distance is 70 m. Free umbrella, chaise lounge pad, chaise lounge, towels. Breakfast (open buffet), late breakfast (open buffet), lunch (open buffet), five o’clock tea and cakes time, dinner (open buffet), a la carte Italian restaurant, catamaran, canoe, English pub, restaurant bar, pool bar, disco bar.